Embedded OEMs – especially those whose products have complex human-machine interfaces (HMIs), manage many degrees of motion, and require hard real-time operation – have traditionally relied on field programmable gate arrays (FPGAs) and digital signal processors (DSPs) to meet the precision and performance requirements of machine vision and motion control applications. Today, that hardware-centric model is undergoing intense scrutiny as OEMs face increasing market pressures to cut costs, improve quality, and differentiate their products. By adopting a software-based control (soft-control) architecture, OEMs have an opportunity to do all three. They can differentiate their products and improve their competitiveness by significantly increasing yields/throughputs and shortening time-to-market. They can also reduce their bill-of-materials (BOM) costs and shrink compute footprints while simplifying and streamlining development, usability, and training. Although there are several competing approaches for capitalizing on these trends, a software-based control architecture has emerged as the leader. By utilizing hard real-time symmetric multiprocessing (SMP) support available on today’s x86-based multicore architectures and tight integration with the Microsoft Windows environment, OEMs can leverage versatile soft-control architectures to move control logic from specialized hardware components into software. For example, C/C++ source code logic that traditionally has been compiled and run on DSPs or FPGAs for programmable logic controllers (PLCs), motion control, and machine visions systems can be ported to target a real-time operating system (RTOS) or real-time extension to Microsoft Windows. The result is a hard real-time, SMP-enabled application that runs directly on x86, eliminating the need for an FPGA or DSP to perform the logic. 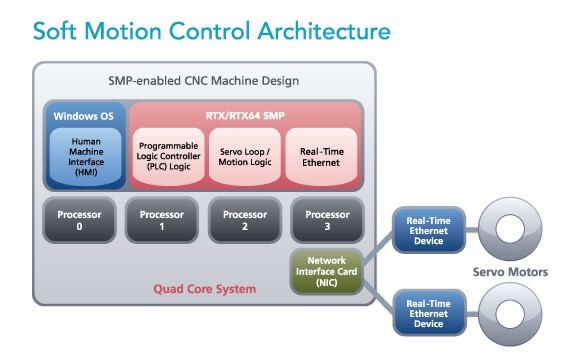 The following describes how the use of soft control architectures like control architectures based on multicore x86 hardware, such as the KINGSTAR Soft Motion Platform and IntervalZero RTX64 real-time extension for Windows, can help OEMs improve yields and throughput, shrink compute footprint, and significantly reduce costs for both themselves and their customers (Figure 1). Unlike traditional motion controllers that must incorporate a hardware microcomputer, FPGA, or DSP to provide features such as (proportional–integral–derivative) PID compensation, soft motion relies exclusively on a software-only engine that runs directly on the cores of a host PC to handle real-time processing. This replaces the previous solution of running on a PCI board that plugs into a PC, which is expensive because it leaves the PC idle while the PCI board does the work. 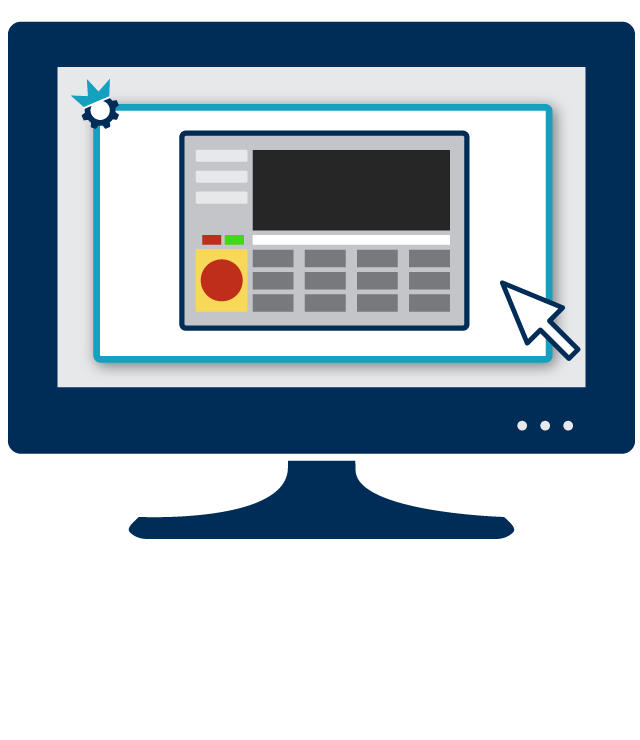 A motion control software solution solves many of the challenges inherent in the traditional hardware approach, including vendor lock-in, flexibility, and cost. The best soft-control architectures have the ability to completely replace industrial motion control and machine vision hardware with a low-cost, Windows-based machine automation platform, as well as replace proprietary I/O and cabling with low-cost commodity parts like network interface cards (NICs) and CAT5 cables by taking advantage of standards like EtherCAT. 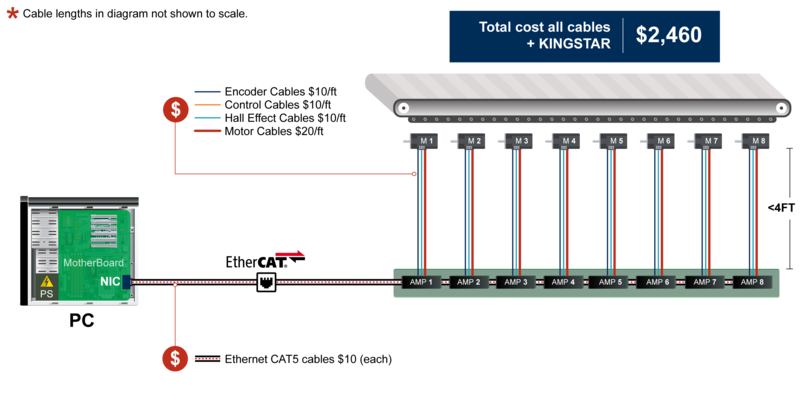 With a software-based motion control solution like the KINGSTAR Soft Motion Platform, EtherCAT can be used to transmit and receive data over a network, and a real-time extension like IntervalZero’s RTX64 can turn Windows into a real-time control system. Using EtherCAT to transmit and receive all of the data over a network, as many axes can be controlled as needed and scaling up the axis count becomes very straightforward with the use of standard CAT5 cables, which are inexpensive and available in any length required. With EtherCAT, amplifiers can be mounted very close to the motors, and the digital nature of the signals eliminates analog cables entirely, as those outputs become part of an Ethernet packet. This allows the encoder, the halls, and the motor power cables to be as short as possible – a few feet long at most – which dramatically reduces costs. In addition, all of the cables, now much shorter, are identical. The cables simply connect a motor to an amplifier, which also greatly lowers cost and minimizes the chance of error. With this system in place, the control logic software itself can be written, and run as an integrated platform, these components can accomplish everything that a DSP solution can provide and more. 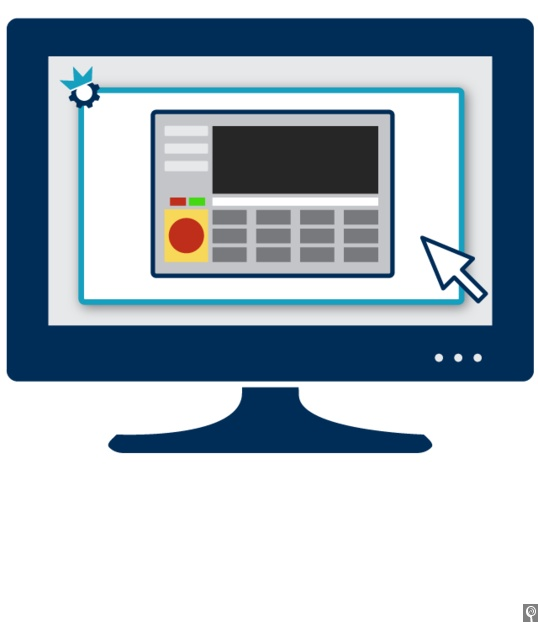 Motion control software delivers equal or better performance than comparable hardware. Intel processors available today can do the exact same calculations as DSP chips and at the very same update rates, with motion profiles and PID calculations being just two examples. Furthermore, because the solution is software based it can be changed easily, so if a more complicated control scheme is needed for a particular axis, it can just be programmed in. One would just leave all of the standard axes to run as normal, but take over control of any axes that require more logic: Change servo gains on the fly; electronically gear any axis to any other. With software, you gain agility and save time. With EtherCAT as many axes as needed can be added to a design, and single-core Intel processors have been used to control 100 axes with an update rate of 500 µs, which represents an order of magnitude improvement over DSP solutions. This ability is so powerful that in some cases motion control engineers have attempted to execute two control programs on a single-core Intel processor-based equipment as two separate machines after realizing it’s possible to run multiple programs on a single EtherCAT network with one PC controlling each. If needed, however, a separate core can be dedicated for each program in more demanding applications. As detailed in Figure 2, the cost of an 8-axis software-based motion control system is 44 percent the cost of a similar DSP solution. 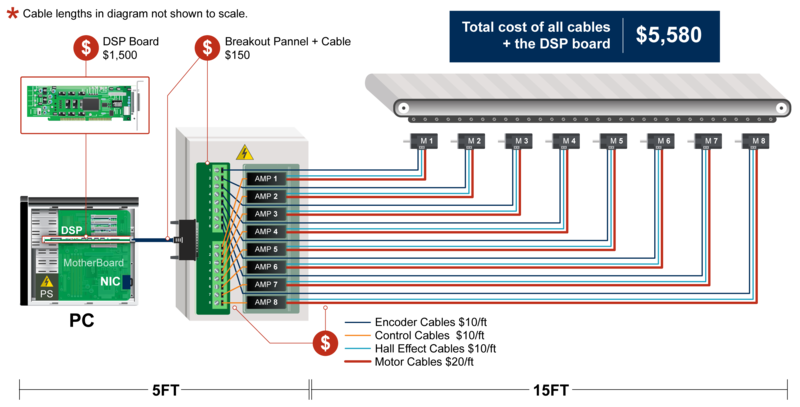 If an additional axis needs to be added to the system, the cost of the DSP solution goes up by $1,500 because an additional board must be added to the PC; with a soft motion solution, additional axes can be included at no additional cost. Businesses succeed when they produce quality products at lower cost and faster time-to-market than their competitors. A software approach to machine control like KINGSTAR enables exactly that. With equal or better performance than traditional hardware solutions at less than half the cost, soft motion control is the clear choice for real business results. Dipesh Mukerji is VP of Marketing and Strategy at KINGSTAR.